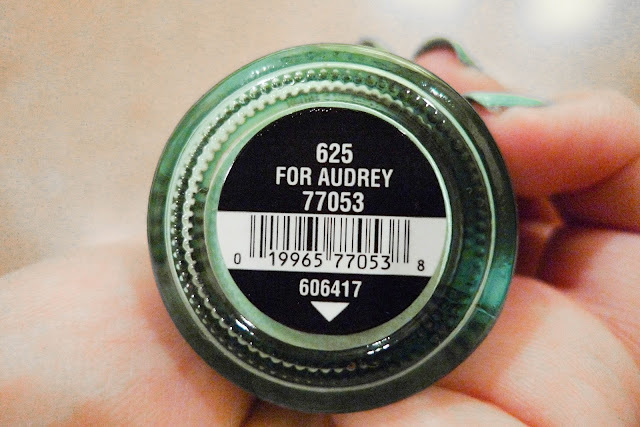 China Glaze's For Audrey was once such a cult product when it was first launched. It is the Tiffany & Co. color with a thick opaque consistency. Sorry that they are pretty messed up as I didn't have the time to repaint them. 3 coats shown in the picture. Like it or not is up to your personal taste. Hope everyones having a great weekend! Tell me your favourite color for this fall and winter. I'll need some recommendations!